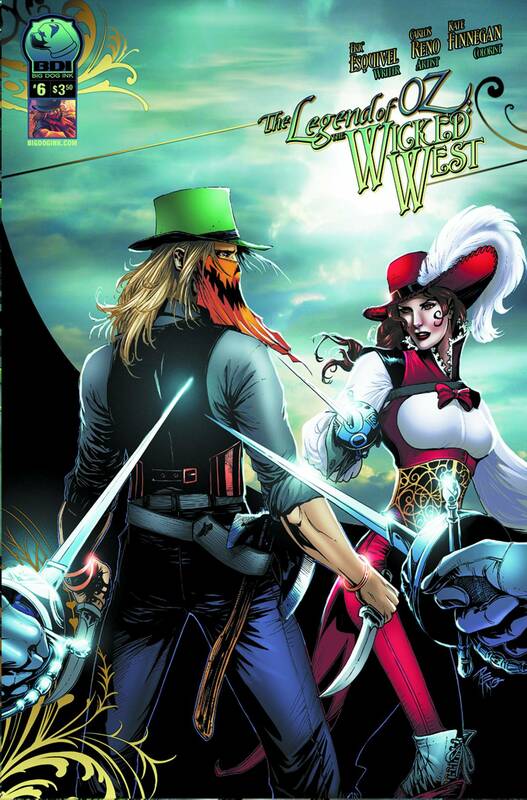 The Legend of Oz: Wicked West #6 drops 3/13! Holy cripes! The Legend of Oz: Wicked West #6 drops 3/13! It’s the best book about about a magical, pumpkin-themed cowboy you’ll read in March! Guaranteed. This entry was posted in Uncategorized and tagged BDI, Big Dog Ink, eric M. esquivel, The Legend of Oz: Wicked West by ericmesquivel. Bookmark the permalink.